Crockett Tennis team takes on Lanier. Crockett Girls Basketball made top 10 in the State. Crockett cheerleaders at House Park Stadium. REMINDER: THIS FRIDAY APRIL 19 IS A STUDENT HOLIDAY. CAMP NAWIC GIRLS SUMMER CAMP APPLICATIONS DUE APRIL 22. As a way to increase the communication and to highlight the many things going on in the Crockett High School community, we have created a monthly-published newsletter. 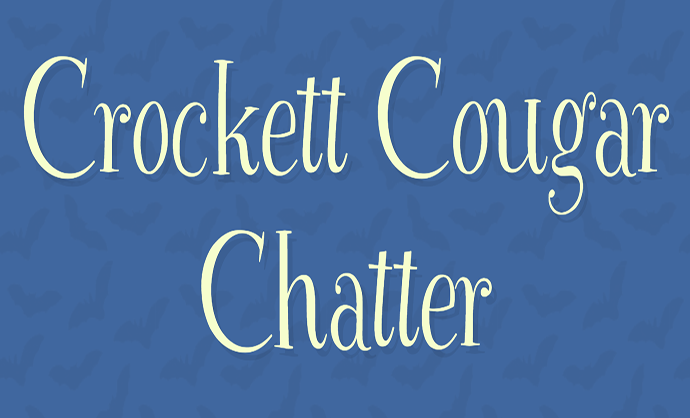 The Crockett Cougar Chatter is designed to keep parents, students, staff and community members up to speed on the awesome things occuring in our school. See the links below to access the 2018-2017 newsletters. The time is here! Incoming Crockett students with parent consent are receiving Chromebooks as part of the Everyone:1 initiative. In order for your student to receive the device, please click the link below to find access to the electronic consent form. Earn a College Associate Degree while attending High School! Crockett High School has been approved as an Early College High School (ECHS) campus, making college accessible, immediate, --AND FREE--to rising 8th and 9th graders. 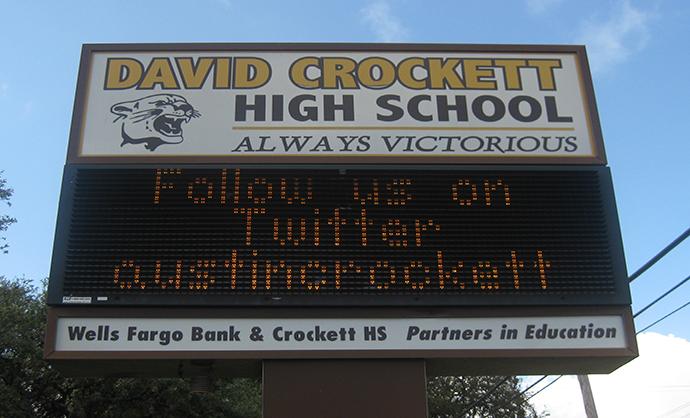 ECHS is a collaboration between Crockett High School and its neighbor across the street, Austin Community College. 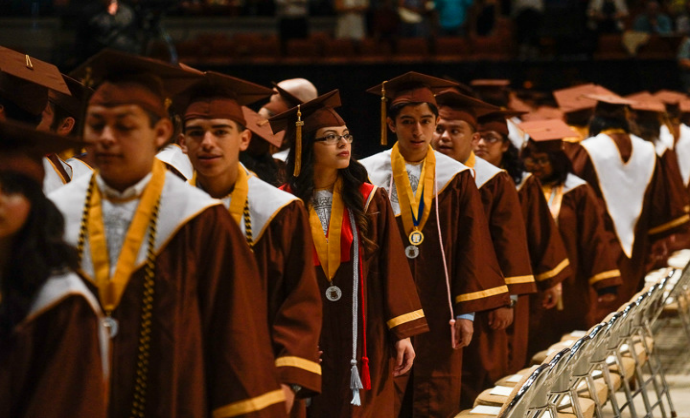 At high school graduation, students completing the ECHS program receive both a high school diploma and an associate degree from ACC. Graduates of ECHS typically complete their college career at a four-year college/university or go directly into the workforce. CHS is currently accepting ECHS applications for Spring 2019.